Sometimes called KOR (Kernel Output Ratio)or performance in nuts, the out-turn represents the quantity in pounds (lb) of good nuts that you can have in a bag of 80 kg nuts after shelling. 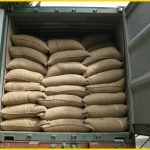 It is expressed in lbs / bag of 80 kg. Example: an out-turn of 49 lbs / bag of 80kg means that manufacturers will have 49 lbs or 22.2 kg of processed nuts from 80kg bag. 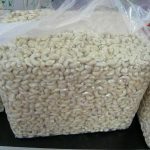 To pack raw cashew nut, we use jute bags of 80kg. First of all, we mean by defective materials the moldy, premature, damaged kernels. Our workers weight the sample and separate the damaged from the good materials. 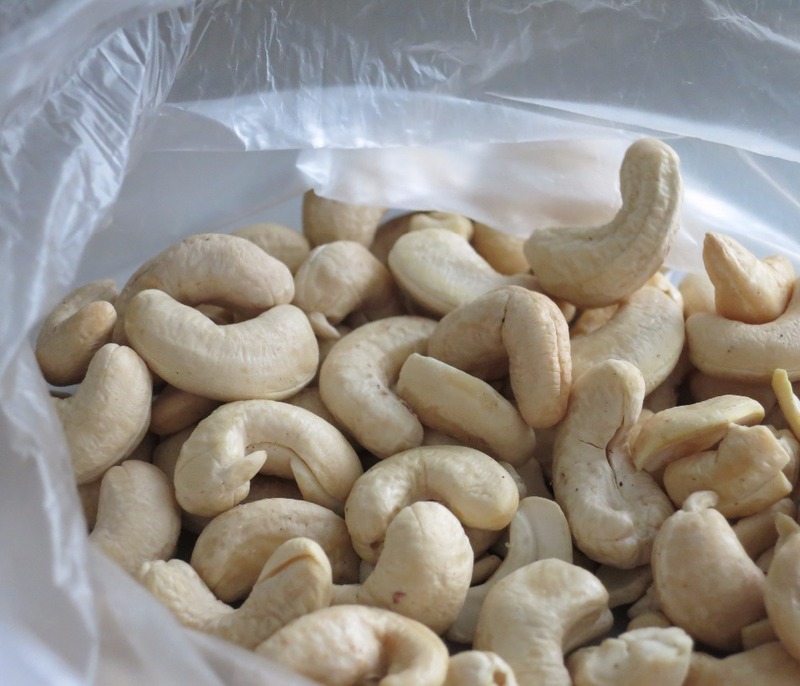 After that, they reject raw cashew nut batches that measure 24% defective rate or above. It is easy and faster to measure by defective rate rather than out turn. 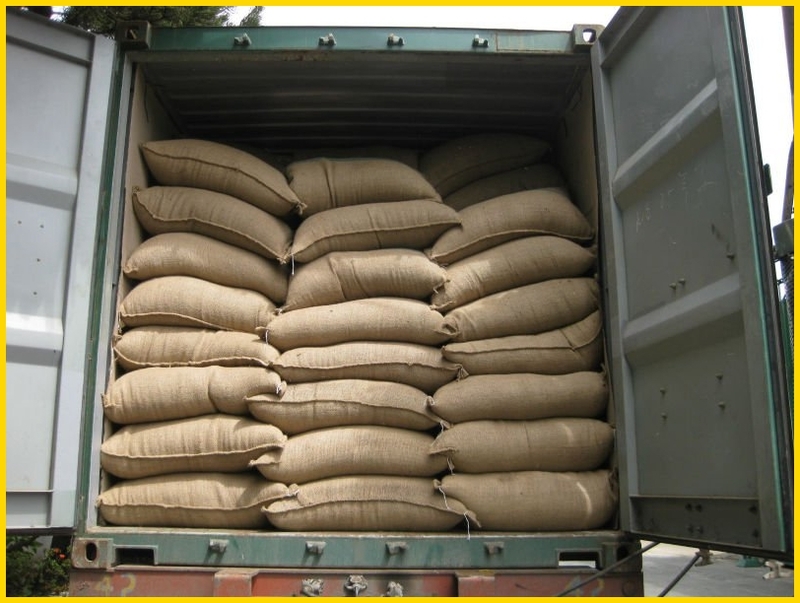 This allows to assess quality faster while buying raw materials. in nuts / kg. 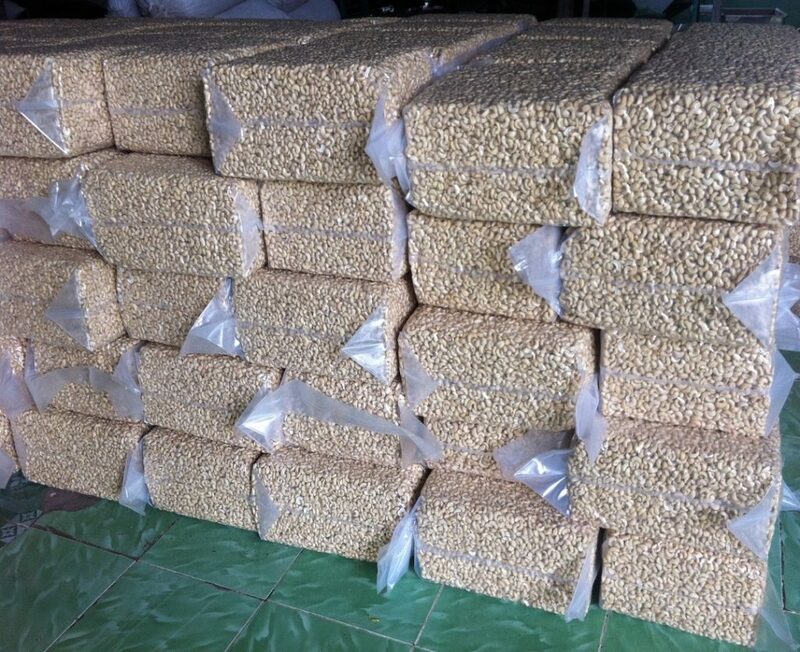 It varies in general from 150 to 240 nuts / kg. The smaller the number, the bigger the nut is. Associated with the out-turn, it provides information on the size of the kernels we could have after unshelling. Because the more we have the biggest the nuts and a high out-turn, the more we are lucky to have big kernels that are particularly appreciated by buyers. This is an important factor for the conservation of nuts. Expressed as a percentage, we really need to keep this rate between 7% – 12% after drying. When it exceeds 12%, nuts are exposed to mold. 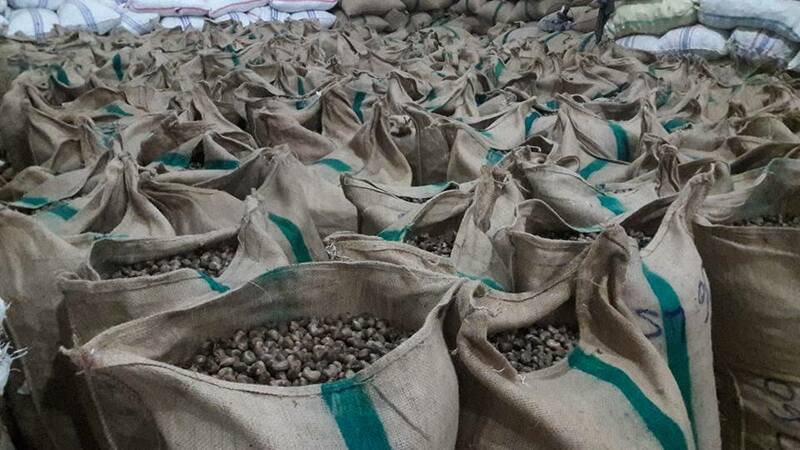 Nuts too dry are too fragile during process that will bring buyers to losses. 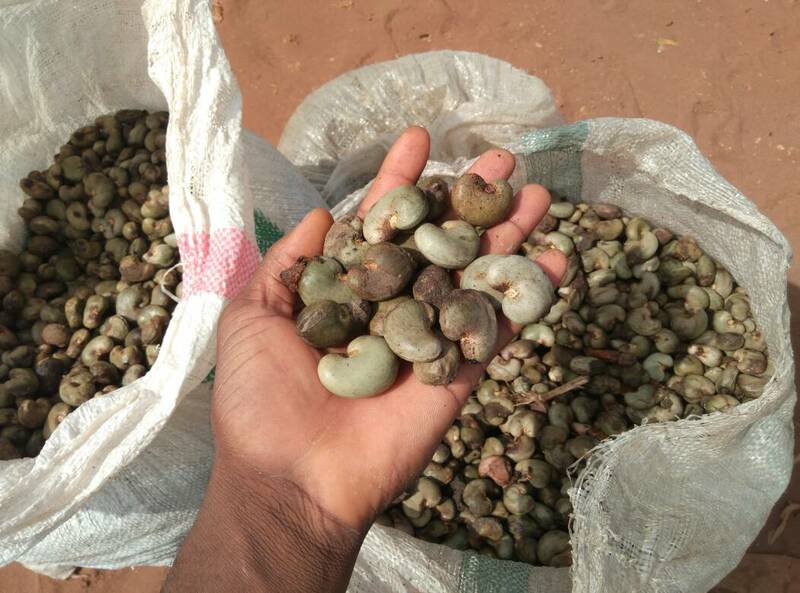 Organically grown, the cashew nuts we offer do not undergo any chemical treatment during process. 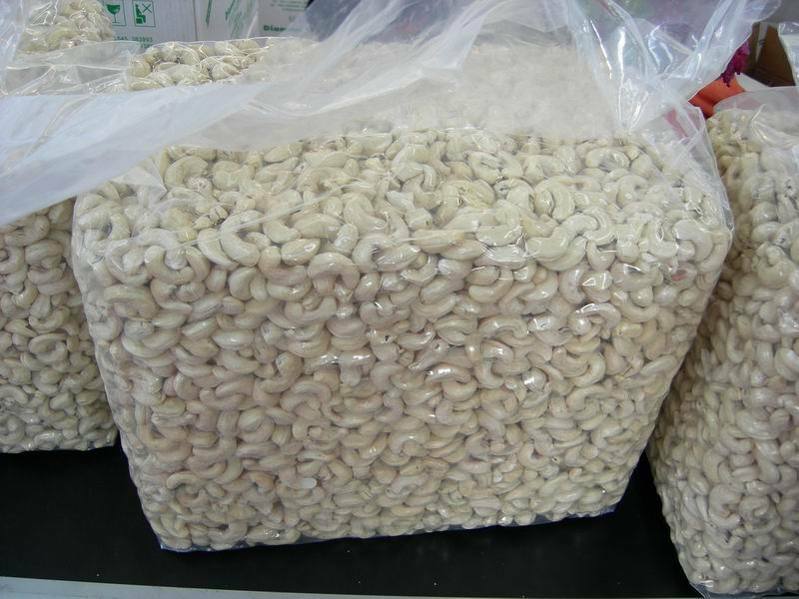 Although buyers know Madagascar cashew nut as small size, we MadaMarket Export, however, supplies big size we manually and carefully grade to superior standards required by buyers. 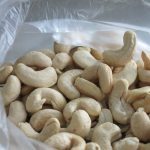 Below our offers for both raw cashew nuts and cashew nut kernel. 240 count nut per 454 grams. Whole White 320 count nut per 454 grams. Payment: 30% advance payment 70% by TT or DP, or 100% by LC at the sight. Delivery time will be 20 days from the LC date or advance payment. 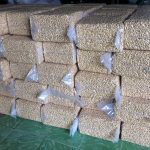 For packaging, we proceed as per buyers requirements. If you need your logo or else to appear on the box, plastic bags, kindly let us know.